Preparation of Affordable Care Act forms. Search for potential government benefits worth up to $2,000. claim an Earn Income Credit. Importing your W2 forms to speed up the process of filing the required fields. Qualify for product and audit support. To qualify for this offer a taxpayer must file a simple tax return and claim standard not itemized deductions. The most common individuals qualifying for this offer are: first-time filers, students, or people who don’t have kids, don’t own a house or investments. 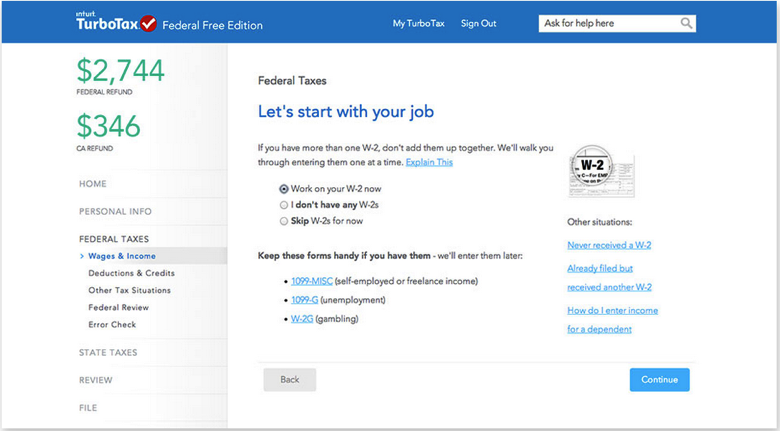 TurboTax is hoping to introduce its product to individuals who are unfamiliar with it or are new to efiling. The company also counts on loyalty. Although there is no limit on how many consecutive years you can use the product for free (assuming it will be offered for free in the future and you qualify), the company is counting your economic situation improves to the point you will need a product with more features that you will be able to afford. After finishing the tax preparation process you will be able to print the return for your records and efile. 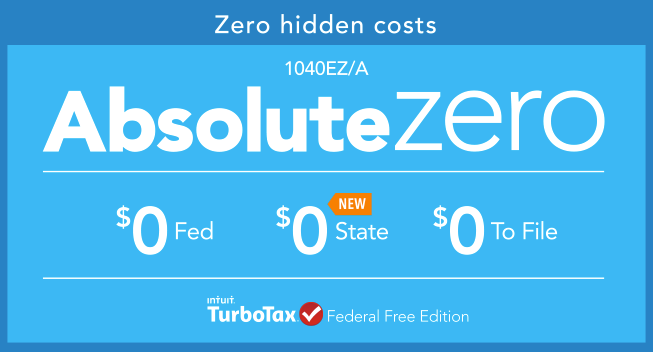 Just like with any other of its products, TurboTax stands by a maximum refund guarantee, guidance in case of an audit, and 100% of accuracy of all the information entered into the forms.